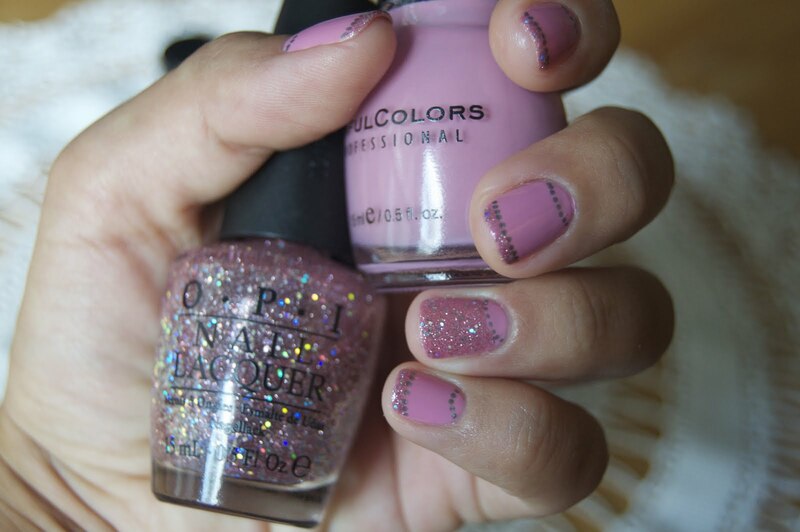 Bedazzled pink: I started with two coats of Star Fish, then applied Teenage Dream to the tips, then highlighted the tip and the lower "half moon" section of the nail by drawing silver dotted lines. Ring Finger: After drawing the half moon dotted line over the Star Fish nail polish, I covered the rest of the nail with glittery Teenage Dream. Voila! This is so so so pretty and cute and unique and creative. Did you design this yourself? It's lovely! Your nail looks are always soo beautiful. 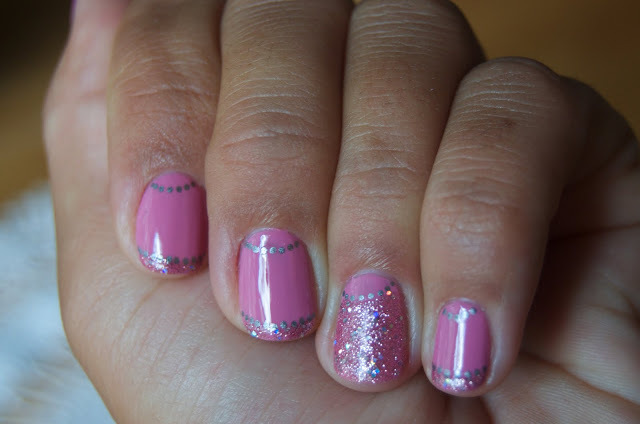 OK seriously, this is the cutest/pretties mani evah!! I lobe it soooo much, it's so girly! Love the glittery polish! your nails are so cute!! love this! I added this post to my link love post! I love it i have used glitter on my nails in a while maybe i might give it a go? I love this...soo cute and pretty!!! Awww lovely nails! I don't know how you manage to make the sinful colors nailpolish look so streak free! I'm still trying to work on that.. Pretty! Teenage dreams is a freakin' awesome colour!